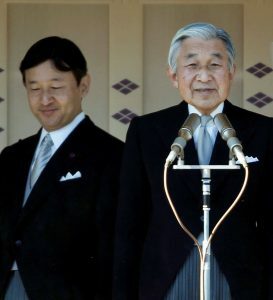 With a special law allowing the Emperor to abdicate having been passed in June 2017, this will be the first abdication of an emperor in nearly two centuries, since the position of Emperor was established as being lifelong in the Meiji Era. A new era name will be announced to coincide with the new Emperor’s accession to the throne. Since era names are used on government documents and in other cases such as on calendars, this will have a noticeable impact on society, and so the new era name has been a major focus of attention. The FPCJ has invited Dr. Eiichi Miyashiro, Senior Staff Writer at the Asahi Shimbun and an expert on history, to speak about what era names are, their meaning and history, the process used to decide them, and their impact on society. Mr. Miyashiro writes articles on topics including history, Cultural Properties, and archeology.